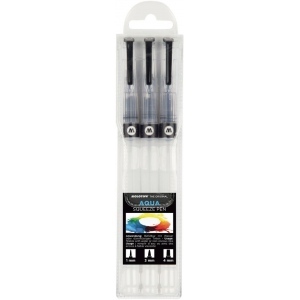 These application tools are easy to fill with water fluid watercolors or inks. * Mix your own colors thin them with water refill repeat! 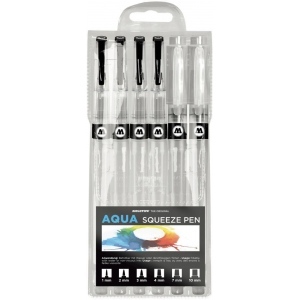 The water/paint flow is regulated by squeezing the pen's body.